stylish videos and presentations on your computer. 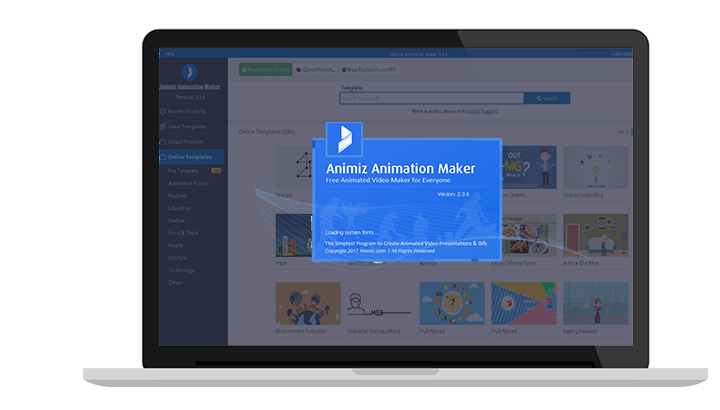 Install free Animiz software to take your animated cartoon videos to the next level by your own. No matter starters or professionals, you will tell vivid stories with gorgeous cartoon videos. This powerful animation software prepares a bunch of animation effects to make videos lively, all are at your fingertips. 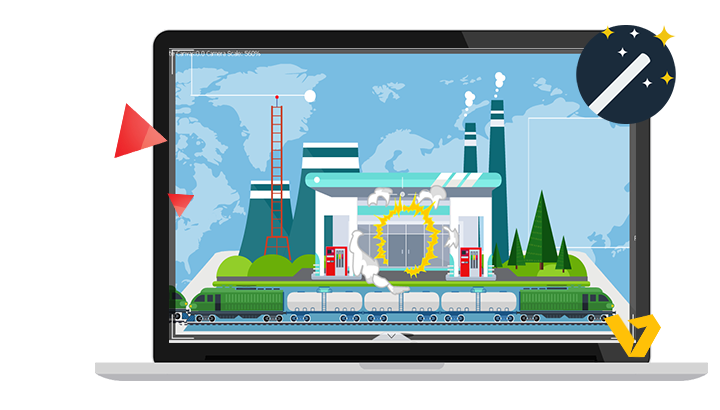 You will love Animiz because of its ease of use, rich free video assets and cool animated roles. No coding or designing experience needed. There are a wide range of pre-animated templates for you to start editing cartoon videos with your contents if you do not have time to create from scratch. As an Animiz user, templates like animation project, business, education, festival, food & drink, health, lifestyle, technology and others will give you great convenience to design as your own style. Rich content layouts will fit your themes to convey messages. You will express through sound and vision. Animiz inspires you to suit everyone's tastes with multiple free assets (roles, stock images, sounds, SWFs, charts, callouts, symbols, animated objects). What is more, stylish transitions, titles and filters are certainly turn your cartoon animation into an eye-catching enjoyment. To achieve resonant video effects, background music is always needed, which is easily capture audiences' attention. Just create high-definition offline videos in 6 different formats (.mp4, .mov, .wmv, .avi, .flv, .mkv) based on your need. 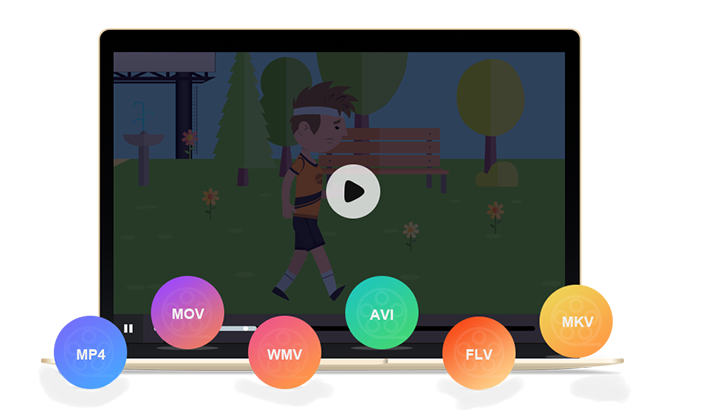 Animiz allows you to publish well-designed cartoon videos offline for better sharing. Selecting video size, format, frame rate then you can click to publish at local. It is convenient to view gorgeous cartoon video on your computer or mobile, anytime and anywhere. 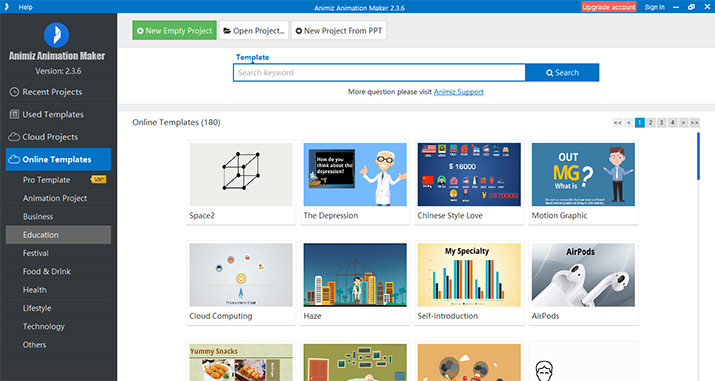 Download Animiz freely and get started from beautiful online templates. Express through sound and vision. Make your cartoon video multimedia and compelling. Label feature for putting emphasis, adding spotlight, blur, highlighter and mosaic. Make full use of multi-track timeline to customize background, camera, captions and animations. 6 types offline formats to publish your cartoon videos. View contents anytime and anywhere.